There are some eye-popping revelations in the transcript of Glenn Simpson’s testimony before Congress. Democrats in Congress, sick and tired of the Republican Party’s stonewalling, denialism, and outright obstruction of the Russiagate investigations, are starting to fight back, and hard. The most powerful punch yet in the anti-Trump counteroffensive was landed this week when Senator Dianne Feinstein, the California Democrat, released the August 2017 transcript of the 312-page, 10-hour testimony by Glenn Simpson, founder of Fusion GPS, the firm that hired former MI-6 (British intelligence) Russia specialist Christopher Steele, author of a series of raw intelligence reports about possible collusion between Russia and Donald Trump’s 2016 presidential campaign. Democrats took two other parallel and very significant actions this week, signaling that many of them are ready to confront Trump over Russiagate in 2018. Cornered and Facing ‘Existential’ Crisis, Will Trump Fire Mueller? They’ve been trying. None of the GOP members of Congress has pushed back as President Trump unleashed an unhinged, months-long string of tweets and public remarks disparaging the FBI, the intelligence community, the Justice Department (including Attorney General Jeff Sessions), federal judges, special counsel Robert Mueller, and what Trump likes to describe as the Deep State. On January 2, he tweeted “Deep State Justice Dept must finally act?” Act on what, exactly? Why, to launch an investigation of Hillary Clinton. To distract the public, and rally his ultra-right base, Trump—backed by the likes of Nunes, Grassley, and other GOP members of Congress—has been demanding a spurious, unjustified, and frankly outrageous series of inquiries into his Democratic political opponents. And, thanks in part to political pressure from the GOP in Congress, it looks like he’s getting one. Much of the Republican Party’s fire, along with Trump’s, has been aimed at the origin, use, and contents of the so-called Trump-Russia dossier, which was prepared by Fusion GPS, a private political intelligence firm, in 2016 and released one year ago by Buzzfeed. (In a January 9 op-ed in The New York Times, Ben Smith, Buzzfeed’s editor in chief, said he was proud to have published the dossier.) Trump has disparaged it since its very publication, calling it a “fake dossier,” impugning its author, and describing it as a Hillary Clinton–inspired hit job. “WOW, @foxandfrlends ‘Dossier is bogus. Clinton Campaign, DNC funded Dossier. FBI CANNOT (after all of this time) VERIFY CLAIMS IN DOSSIER OF RUSSIA/TRUMP COLLUSION. FBI TAINTED.’ And they used this Crooked Hillary pile of garbage as the basis for going after the Trump Campaign!” Trump tweeted on December 26. On the Hill and in the White House, fast and furious have come the demands that the FBI and the Justice Department target Fusion GPS. In a hard-hitting New York Times op-ed on January 2, Glenn Simpson and Peter Fritsch, the co-founders of Fusion GPS, slammed Trump and the GOP. “In the year since the publication of the so-called Steele dossier—the collection of intelligence reports we commissioned about Donald Trump’s ties to Russia—the president has repeatedly attacked us on Twitter,” wrote Simpson and Fritsch. “His allies in Congress have dug through our bank records and sought to tarnish our firm to punish us for highlighting his links to Russia. 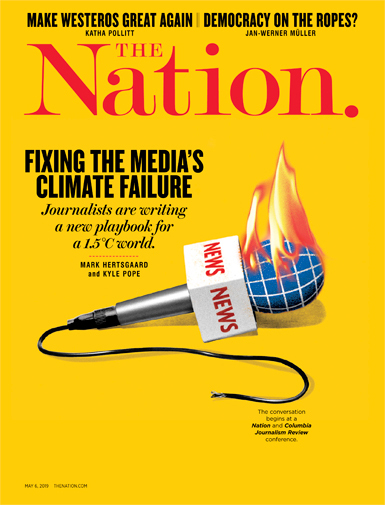 Conservative news outlets and even our former employer, The Wall Street Journal, have spun a succession of mendacious conspiracy theories about our motives and backers.” In their op-ed, they called for the public release of Simpson’s appearance before Senate Judiciary Committee. 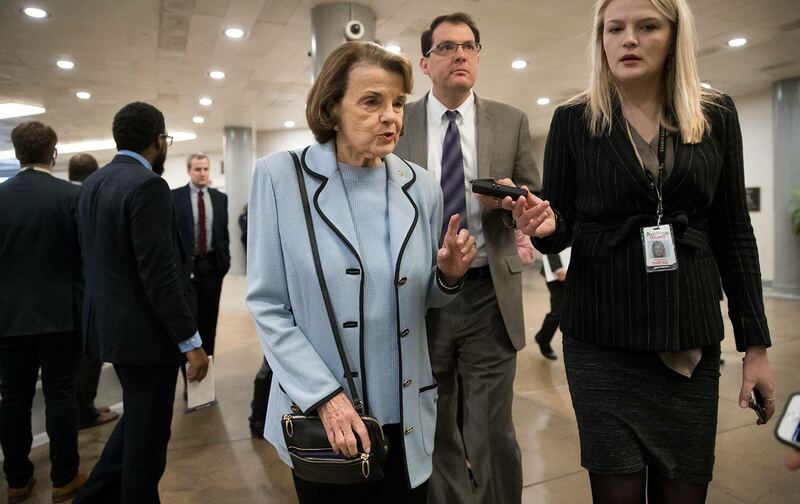 On January 9, Senator Feinstein, the ranking Democrat on the committee, did just that—unilaterally, and to the great consternation of Senator Grassley, who just one day earlier refused to release it and who attacked Feinstein’s action. Trump, the “very stable genius” whose lawyers are reportedly negotiating with Mueller (who wants face-to-face sworn testimony from the president), lashed out at Feinstein in a semi-coherent tweet, calling her “Sneaky Dianne Feinstein” and describing her action in releasing the transcript “underhanded and possibly illegal,” and “totally without authorization.” At a White House news conference this week, Trump hinted that he may not, after all, consent to meet with the special counsel, possibly setting up another test of wills between the White House and the Office of Special Counsel. Contrary to GOP imputations that Simpson and Fusion GPS were never more than tools of the Democratic Party, Simpson challenged Sarah Huckabee Sanders, the White House press secretary, who called the firm Democratic-linked. “I was a journalist for most of my adult life and a professional at not taking sides, and I’m happy and proud to say I have a lot of Republican clients and friends,” Simpson said. Indeed, the company’s work on Trump began in mid-2015, on behalf of a Republican opposed to Trump. The Democratic National Committee took it over in mid-2016. When allowed to make his points, particularly when questioned by Heather Sawyer, chief oversight counsel for Feinstein, Simpson delivered some eye-popping revelations. During the investigation, Steele became concerned that Trump, then still a candidate, was vulnerable to Russian blackmail or that Trump “had been compromised.” As a result, Steele met with an FBI agent in Europe to provide some of the information he had collected in the course of preparing the dossier. Then, refuting charges that Fusion GPS was in league with the FBI, Simpson said that Steele eventually severed all contacts with the FBI when it began to appear that the bureau wasn’t taking the Trump-Russia question seriously enough. A New York Times article on October 31, 2016, reportedly based on interviews with FBI officials, said that an FBI inquiry “found no connections to Russia.” (“It was a real Halloween special,” said Simpson.) This report, coming almost on the eve of the election, dovetailed precisely with FBI director Comey’s decision to raise, once again, the issue of Clinton’s e-mails. All of that spooked Steele, Simpson said. There’s plenty more where all that came from, and it’s fascinating reading. Now that it’s public, and with Feinstein possibly in line to release more transcripts as we await Mueller’s final report, perhaps we’ll get more glimpses of what’s known in the story.